Merton has plenty of green space, making it an ideal escape from the city. Rentify can help you make the most of your letting with our handy borough guide. At Rentify we have property specialists dedicated to Merton, armed with local expertise and unmatched valuation knowledge to find you the right tenants. The London Borough of Merton is one of the greenest boroughs in London. Vast green spaces such as Wimbledon Common are popular with local residents, as are leafy districts such as Raynes Park and Wimbledon Village. One of the borough’s most famous districts is Wimbledon, which of course is home to the world-famous tennis tournament of the same name. Families enjoy suburban districts such as Merton and Morden, which offer plenty of semi-detached and terraced houses with gardens. The borough is well served by the Northern and District tube lines, as well as the Tramlink and mainline rail services to Waterloo and Blackfriars. Merton offers much more in the way of semi detached, detached and terraced housing compared with other London boroughs, which are great for families. Yet there are still plenty of flats available for single professionals and couples seeking a quieter life. Merton's many districts each have their own character, catering to a variety of residents. Here's our top picks for new landlords in the area. 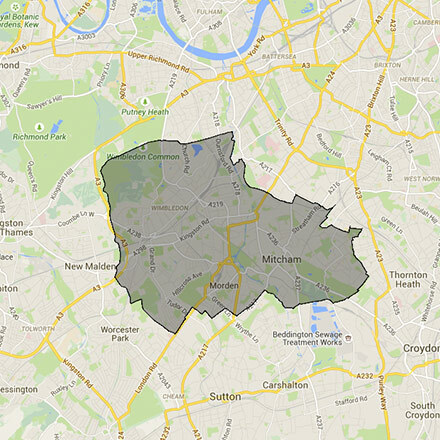 This borough covers the CR4, CR7, KT3, SM4, SW16, SW17, SW19 and SW20 postcodes. Rentify uses proprietary methodology for data collection and processing. Borough data is collected from Rentify's property database and external public sources.